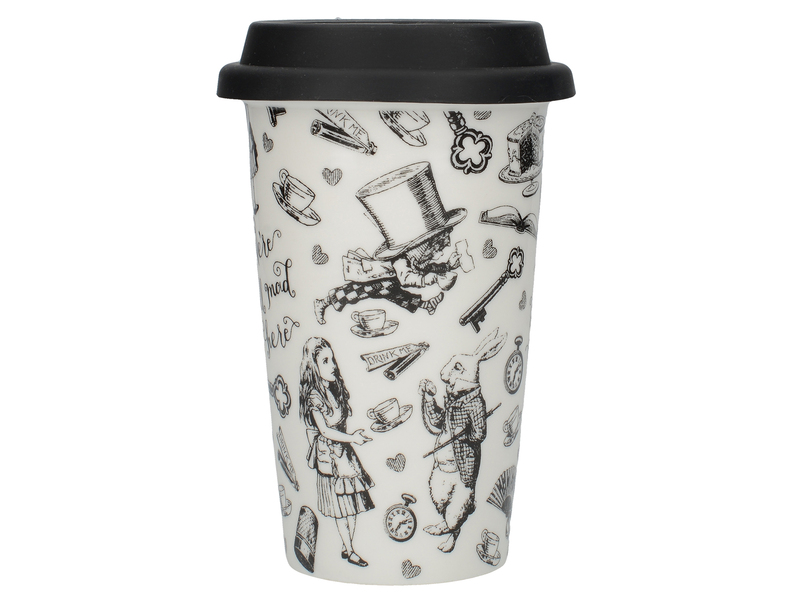 Take a little curiosity with you wherever you go with this beautiful Alice in Wonderland travel mug! 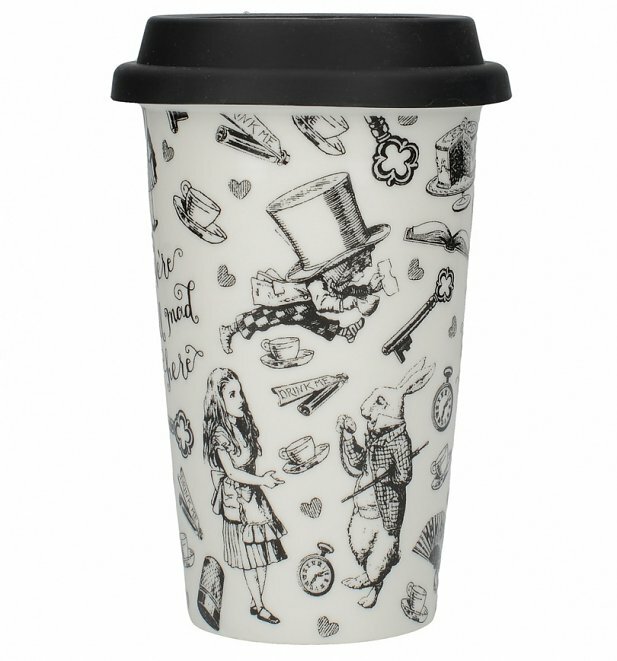 Illustrated with iconic characters and motifs from the classic Alice in Wonderland book, the Mad Hatter, the White Rabbit and Alice all appear with pockets watches, top hats, tea cups and golden keys and a 'We're All Mad Here' quote. 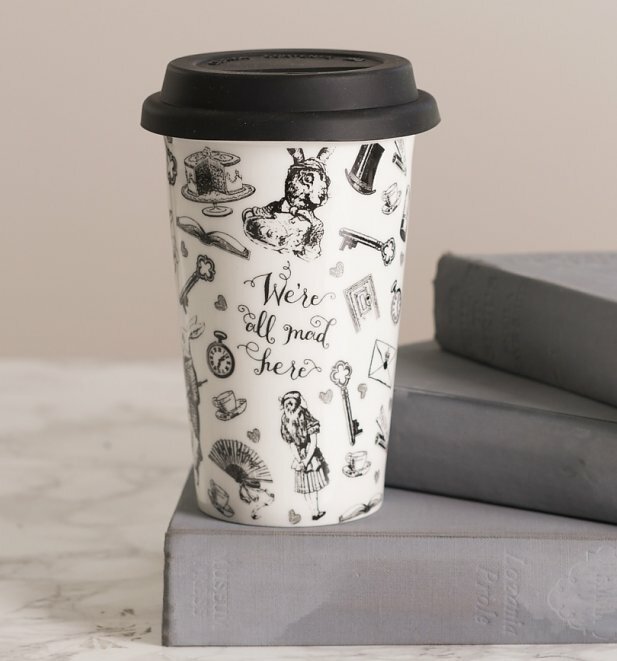 A delightful addition to your daily commute! 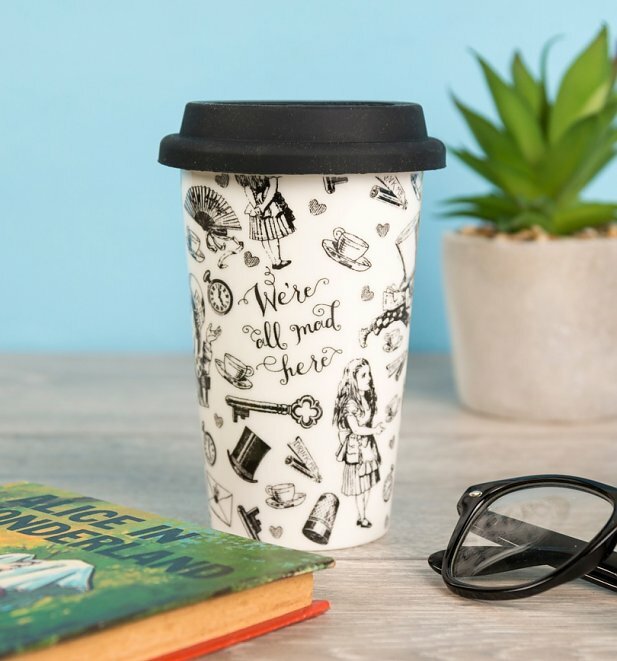 Review: The mug can't safely hold the amount of liquid the manufacturer claims. Otherwise a very nice mug!